Requirements to become a Biodanza Teacher and Didacta Teacher. It takes about three years to become a Biodanza Teacher. The trainee must comply all the requirements state in the Unique Programme of Biodanza Training. The students must complete a minimum of fifty hours of vivencia (in weekly groups or in vivencial workshops). The students can achieve this goal during the first six months of his/her training course. They are encouraged to participate in weekly sessions during the training course. The School offers a theoretical, methodological and vivencia teaching improved throughout years of research. The schools goal is to offer qualified training to practice the profession of Biodanza either in groups or formal organizations (such as education, health or social). The school provide a weekend once a month on Saturday and Sunday according to the planning. Each training module lasts twelve for hours and includes both theoretic and vivencia sections. Specific subject of the Unique Program is addressed in each module. Students receive related support material in advance. At the end of each module the students are committed to present a report of the module subject. It consists in modules theoretical-experiential (vivencia), two lectures about theoretical theme related to the Biodanza System. Leading a group under the supervision beginning from the third year and finally, the presentation of a monograph to receive the diploma. Each module consists in four theoretical lessons that will be completed by theoretical material written by Rolando Toro corresponding on the theme and four vivencia sessions. It consists in the study of the Biodanza theory and its basics, linked to the sciences of life. Theoretical subjects are given in the order indicated in the Unique Programme of Biodanza Training. Students have to present a short report about the theme treated in the previous module. The aim is to train students to express correctly the theoretical Biodanza concepts in their own way. Lectures will be organized in two modules, to reach a total of eight lectures. Lecturships will be hold by specialists or by a students’ team of a given subject. The elaboration of the vivencia in a personal level or in a group one. In the training lectures, one gives a lot of importance to the vivencia relationships and the given theoretical theme. It’s very important for the pupil to participate to a Biodanza weekly group to study in depth the vivencia. In the city where there are no Biodanza Teachers it is recommended the participation in Biodanza Workshop once every two months. Teaching approach to the methodological sources to lead groups of Biodanza. 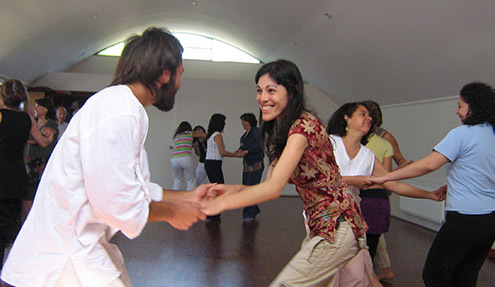 The Unique Programme of Biodanza Training includes seven modules about methodology. It’s a weekly experience of managing a Biodanza group supervised by a Didacta Teacher. The supervised period can start only after the permit of the School Director. Students can realize a social activity offering their supervised Biodanza classes to to social outcasts, to advanced age people, to institutions protecting childhood, etc. Elaboration of a monograph about a theoretical and/or practical aspect of Biodanza. The monograph will be realized following the orientation of a Didacta Teacher, that will supervise the work. It consists in the presentation of the monograph before a committee organized by the School which the student belong to. If the monograph is approved, the student will become a Teacher of Biodanza. To obtain the diploma of Biodanza Teacher, the student will be signed at BIODANZA ROLANDO TORO by the School Director, who will provide the number of professional registry. 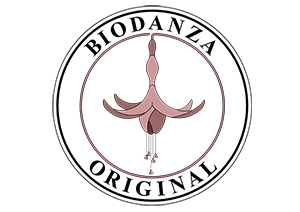 Teachers trained in the Schools from BIODANZA ROLANDO TORO Association can obtain the “Biodanza Original” Certification, which could be renewed each 4 year through update courses. Topics indicated at the discretion of the Director with a minimum of three and a maximum of twelve. 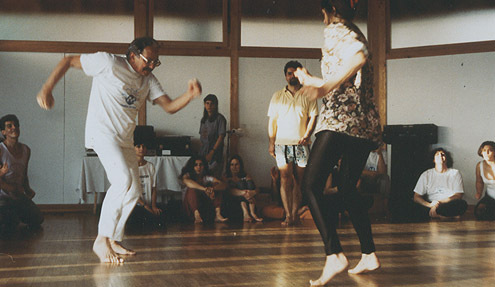 Biodanza in the historical and anthropological context of the dance. Structure and evolution of the universe. Theories about the origin and characteristics of life. Evolution of the human species from prehistory to our days. Subjects of theoretical psychology to be studied. Ethics. Code of Ethics of the Teacher of Biodanza. The place of language in Biodanza. Listening and speaking in Biodanza. One or two modules of the Minotauro Project, both optional. Participate to a weekly Biodanza group with a graduated Teacher. Education level: high school graduation or equivalent training in related field. Have good health and a good level of affective-motor integration. The Didacta Teacher has the aim of passing on theoretical and methodological knowledge of Biodanza System. Preserve orthodoxy of the System and pass it on. 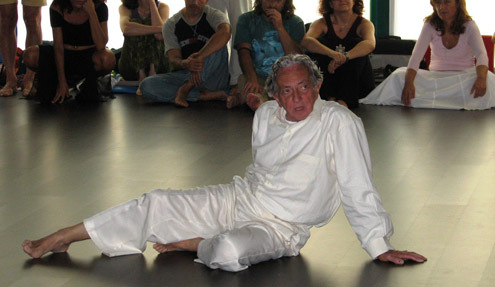 To attend theoretical or vivencial presentations during Biodanza happenings. Become part of a Biodanza school and receive payments for their work. To start this training it’s necessary to be Teacher of Biodanza. Our development project involves the creation of new Biodanza Schools in regions where they do not yet exist. The decision on the opening of new Schools will be expressed by BIODANZA ROLANDO TORO after the evaluation of the Coordination in America, Europe and other countries of the world and the pertinent consultations. International Organization of Biodanza SRT. It maintains its objectives and the statute of the former International Biocentric Foundation, created by Rolando Toro in 2003 and according to this, defines its mission: to preserve the integrity of “Biodanza Sistema Rolando Toro” and its evolution, in accordance with its theoretical model. In addition to divulging the artistic and intellectual legacy of Rolando. © COPYRIGHT 2017 BIODANZA ROLANDO TORO S.L.